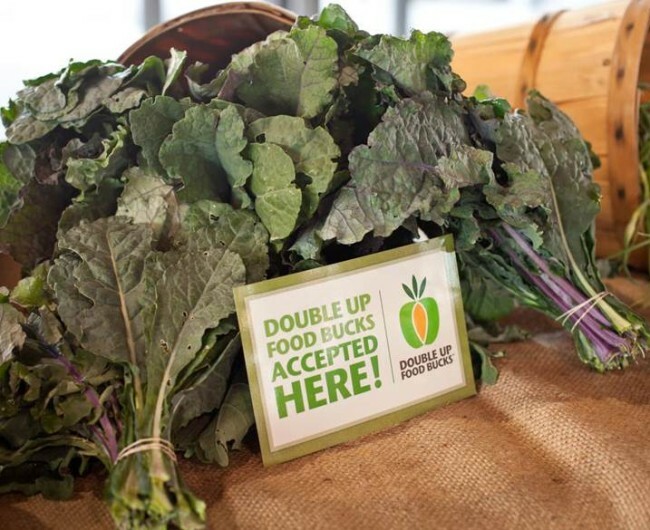 Double Up Food Bucks is a program of our companion charitable organization Farmers Market Fund that provides SNAP shoppers with a dollar-for-dollar match (up to $10 per week) to buy additional fruits and vegetables at the markets listed above. To access the Double Up Food Bucks program, SNAP participants simply swipe their Oregon Trail card at the market information booth in return for tokens to be used at the market. For every $1 of SNAP funds redeemed at the market, a matching $1 in Double Up Food Bucks is provided (up to a $10 match each visit) to purchase additional fruits and vegetables from local farmers and producers. This program is offered at our Kenton, King, and Lents International markets. You can support this great work by making a tax-deductible gift to Double Up Food Bucks. Give today. To find out how Double Up works at our markets, visit our Market Services page.